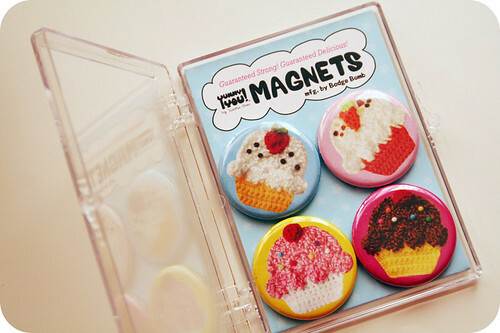 Yummy You Magnet Set Giveaway! I’m excited to show you guys the super cute new magnet sets I put out with the awesome folks at Badge Bomb. I am selling a few in my shop, and soon you should be seeing them pop up in stores near you, like the Screaming Sky Gallery in Portland, and hopefully soon directly from the Badge Bomb website. To celebrate, I thought it would be fun to do a blog giveaway! Badge Bomb was kind enough to give me 10 sets, so we can have 10 winners!! 5 sushi sets, and 5 cupcake sets. 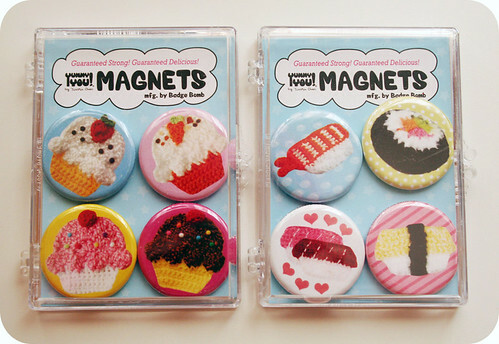 Each magnet is 1.25 inches, and each set of 4 magnets comes in this rad little plastic carrying case! I had some laying out in my house, and my family stole them all! 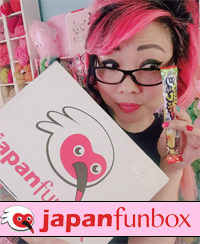 I’ll draw the winners through random.org next Tuesday, March 1 at midnight (since that’s almost exactly a week from now). 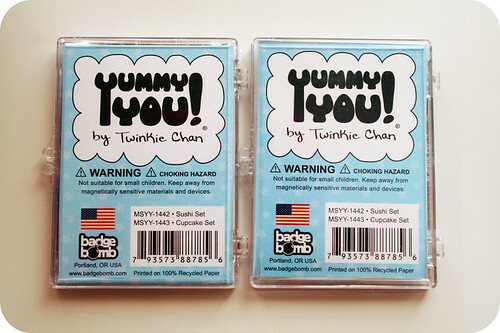 294 Responses to Yummy You Magnet Set Giveaway! These are just too cute. I know my daughter would love them. This is great, I love my cupcake scarf! My favorite out of all of ’em is the pink cupcake, so cute. SOOO cute!!! I want them!! Heeeeey! I love your Eat Yucky Stuff blog too! 😀 I do that very same thing, have for years. It’s like, an impulse to buy food things that are so incredibly bizzare, or foul. And I EAT it, (when my Mom and I are together, we both generally get into it) and it’s great. Gotta experience the weird things in life for sure. Makes me feel a bit ballsy too. Ha-ha. I love all your stuff, I love food, and eating, and you make it so fill of whymsy, and merry-ness-I don’t know how anybody could dis-like it. Hey!! Your work is just <3, I love food especially sweets! too cute. i’d love to win them. Wheeee!! These are SO CUTE! 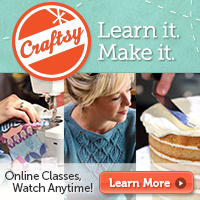 WAAAYYY too cute of a giveaway not to enter. SO SO CUTE!!! yessss i wanna win!!! Those are adorable! I just bought your cookie scarf and mitts set from Tilly’s the other day, and they are so cute and I just love the cakeish box they come in. Too cute! So so cute! I want!!!! Oh the sushi ones are amazing! I just finished making a carrot scarf for a friend, too, haha!